To get the best out of your air conditioning system and keep running costs low, it’s important to have it serviced on a regular basis. 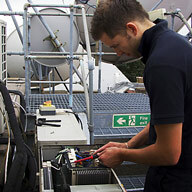 Here at Crown Air Conditioning we offer a range of preventative maintenance services, designed to ensure reliability. How often does my air conditioner need to be serviced? This will depend on how frequently a system is in operation and as commercial air conditioners are used intensively, they often need to be serviced several times a year. Domestic systems, on the other hand, aren’t used as often so it’s usually sufficient to service this type of system on an annual basis. However, regardless of whether your system is used in a residential or commercial setting, if it seems to be performing poorly, it is essential that it is serviced as soon as possible. Poor performance can arise from a number of issues with the most common being dirty or blocked filters. A build up of dirt of dust is perfectly natural but when left unchecked, can quickly result in sluggish performance and increased running costs. If the problem becomes really severe, the filters will become completely blocked making the system more expensive to run and more likely to break down. Air conditioning systems use a refrigerant and although it’s unlikely, if a leak was to occur, the performance of the unit would be significantly reduced, rendering the system completely ineffective. Refrigerant leaks should only be repaired by a qualified and fully trained engineer who has the expertise to rectify the problem safely and in line with legislation. 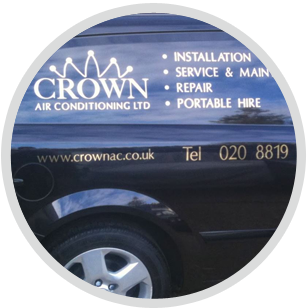 At Crown Air Conditioning we offer a range of cost-effective air conditioner planned maintenance and service plans, with options to suit all budgets and requirements. In exactly the same was as your car or boiler, air conditioners require regular maintenance to make sure that they are reliable and working at maximum efficiency. Not only will this help you to reduce running costs, it will also help to extend the life of the system whilst minimising the risk of expensive emergency repairs. Our team of fully trained and highly experienced engineers work to fault finding checklists and will clean and unblock filters, clean the coils with an anti-bacterial cleaning product, clean drip trays and check all electrical components. An air conditioner service can be carried out at a time to suit you, with out of hours and weekend appointments available on request. 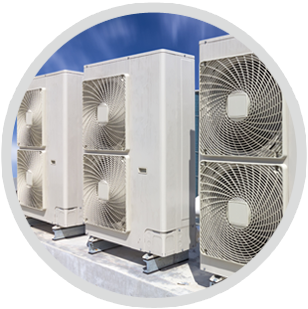 We work with a wide range of air conditioner systems and are specialists in servicing a number of well known brands including Mitsubishi, Panasonic, Daikin, LG and many more. Our air conditioning maintenance service is available to residential and commercial customers throughout Chessington and Leatherhead. Designed to provide you with a reliable service at an affordable price, our air conditioner service schedules offer the ideal way to ensure your system is running efficiently and is free from faults. 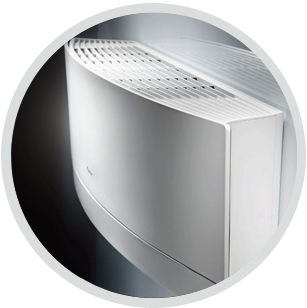 If you would like to find out more, or to arrange for a quote at a time to suit you, please contact Crown Air Conditioning by calling 01737 668310.